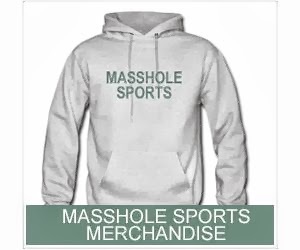 Masshole Sports: Aaron Hernandez Was In Court Again Today. And Again, He Was Laughing And Smiling With His Lawyer. What The Frig Is Wrong With This Guy? 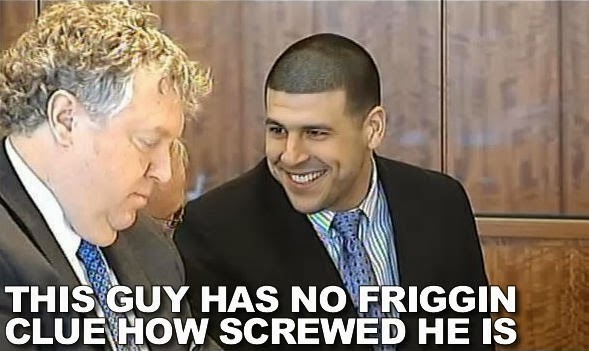 Aaron Hernandez Was In Court Again Today. And Again, He Was Laughing And Smiling With His Lawyer. What The Frig Is Wrong With This Guy? Former NFL tight end Aaron Hernandez is due for another appearance in a Massachusetts court on the murder charge he faces. A hearing is scheduled in Fall River Superior Court on Friday afternoon. Prosecutors are seeking recordings of Hernandez's jailhouse phone calls, in which he allegedly communicated about the case in "coded messages" and discussed his belief about his criminal liability. All I can do is roll my eyes.